The holidays bring about grand feasts to share with friends and family – but it can bring some plumbing problems, too. Unfortunately, many homeowners tend to forget this fact when celebrating is on their minds. So what can you do to help you avoid needing plumbing services in the midst of the holiday rush? Delk Plumbing has some holiday cooking tips that can help you avoid plumbing problems when you least expect them. Ready the disposal – First, make sure you properly prep your garbage disposal for what’s ahead. Have the disposal grind out any old waste before you start cooking. Make sure to run warm water at the same time. This will give the disposal a fresh start. 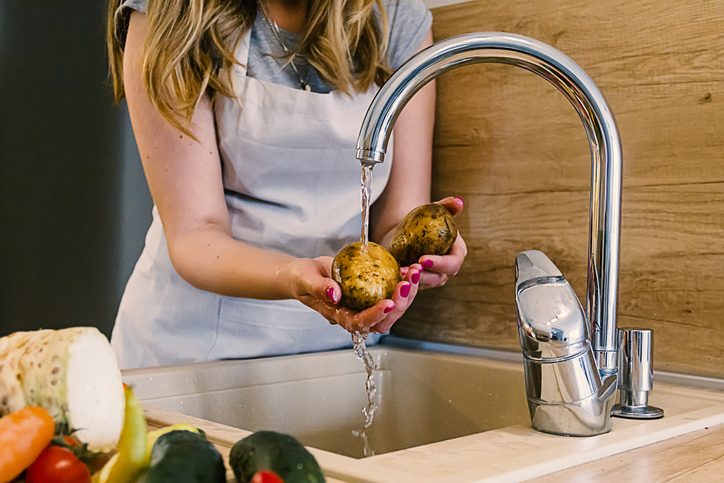 Keep tabs on what all goes into the sink – Grease is a common byproduct of holiday cooking. If it goes down the drain, it can turn into a real enemy of your plumbing system, causing clogs along the way. Keep your eye out for grease that makes its way into the sink as you cook. Also, don’t let fibrous or starchy foods into the sink either, including celery and rice. These food items can and will create havoc on your plumbing. On another note, don’t forget to watch out for silverware that’s teetering on the edge of the drain. This can especially do a number on your garbage disposal. Call when you hear something odd from your plumbing – Did you hear something unusual with any part of your plumbing system? Regardless of what you think you heard, don’t hesitate to call a plumber to check up on it. It could be a small issue, but there’s a chance that it could be something much bigger. Play it safe and call us if you hear anything out of the ordinary before, during, or after your festivities. Should you need plumbing services at any time during the holidays, you can always call Delk Plumbing. We’re ready to assist you throughout the season.